How do I become a Museum Sustainer? 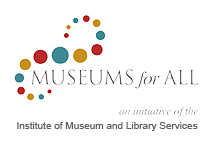 Becoming a Museum Sustainer is simple. Just fill out the form below and select the amount that you would like to have automatically drafted from your account monthly. In just a few days, you'll receive a letter acknowledging your tax-deductible gift and welcoming you as a Museum Sustainer. Note: Automatic drafts will continue until you request them to stop by notifying the museum. We are so excited to welcome you to the BRAHM family! to automatically bill the card listed below as specified.